Plant a tree in memory of Randy "Toby"
Be the first to share your favorite memory, photo or story of Randy "Toby". This memorial page is dedicated for family, friends and future generations to celebrate the life of their loved one. 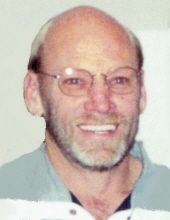 Randy “Toby” L. Brenner passed away January 15, 2019 at his home in Arvada, CO. He was born August 6, 1955 in Denver, CO to David and Patricia Brenner. Randy is preceded in death by both of his parents David and Patricia; his daughter Valerie Velasquez. He is survived by his loving wife of 28 years Debbie Brenner; daughter Nicole Velasquez; grandchildren Isaiah, Valerie and Xavier Velasquez; brothers Larry (Pam) Brenner, Steve (Sharon) Brenner and Michael (Denise) Brenner; Randi Jo and many nieces and nephews and many great nieces and nephews; more family members and friends who will deeply miss him. Randy enjoys his trips to the mountains for camping and fishing. He loved race cars, races and trips to Las Vegas. Above all, he enjoyed spending time with his family. To plant a tree in memory of Randy "Toby" L. Brenner, please visit our Tribute Store. "Email Address" would like to share the life celebration of Randy "Toby" L. Brenner. Click on the "link" to go to share a favorite memory or leave a condolence message for the family.